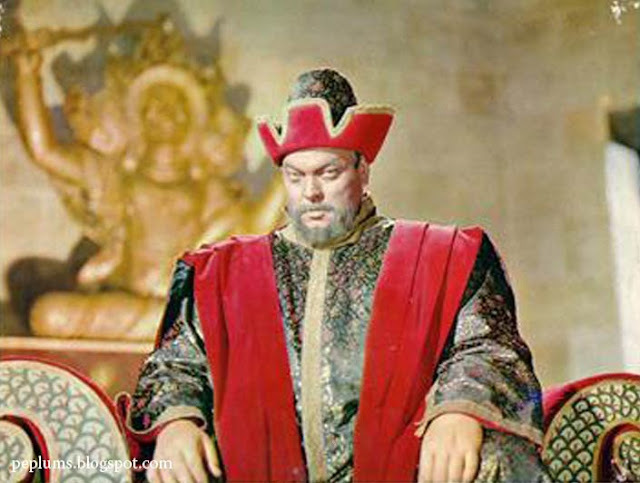 Orson Welles showcasing the single expression he used for the film THE TARTARS. Seriously, this is a fun PEPLUM that really lives up to the genre. A good movie with a great cast. Victor Mature was good in this one, a lot of Peplum vets also in it. Very good production values and a fun action filled fast paced plot to keep you interested.